Learn more about how your neighborhood has grown over time. 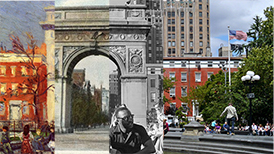 This series of eight slide lectures illustrates the historic transformations of New York City. Discover how architectural and engineering innovations—along with human ingenuity—transformed New York into a world-class metropolis.